I’ve enjoyed every Simple Things Festival since 2014, but I really fell in love with the Bristol weekender this year. It’s perfect for people with all kinds of different musical palates; you can see a DIY punk band in a small café in the early afternoon, chill out to experimental music at the historic theater Colston Hall and then throw yourself into the main room at the Lakota nightclub in the nocturnal hours to catch hours of throbbing techno. The event has grown steadily over the past few years, but really hit its stride this edition, which took place on October 22 and 23. For a start, the programming is impeccable. With a festival that spans different venues in pockets of a city, there’s always a worry that you won’t make it to everything you want to see, but Simple Things’ scheduling makes it easy to catch most events. Nevertheless it’s a long haul, as the daily program starts around 12 p.m. and finishes at 8 a.m. in Lakota’s dark rooms, so it was energizing to see that they had moved everything later in the day to allow people to maintain stamina. And while the bookings last year placed a prominent focus on local artists and DJs, the 2016 lineup looked farther afield to European talent. After settling in in Bristol in the really early afternoon, I headed over to the riverside Watershed cinema and arts center to catch a panel titled Radical Dancefloors. The talk covered ways promoters and DJs are fighting back against people who go out with no knowledge of or respect for the history of clubbing. Contributions from Alice Woods, a member of the local DJ/promoter group Meat Free, were particularly insightful, as she unpacked how her group started in reaction to big-room events where people couldn’t fully lose themselves and feel free. A lot of Meat Free’s bookings are what you’d categorize as “heads down, chin stroking techno,” and Alice explained that when they started giving out glitter to entrants at the door, serious techno heads started coming out of the club with sparkly beards. After a break, I surveyed the harbor by the river in the foggy grey weather and headed towards one of the festival’s more unusual venues: The Firestation. When the building opened in 1930, it was Britain’s biggest fire station, but it has since been converted into a venue and youth center that works with Simple Things every year. My first viewing at the space on Saturday evening was oddball producer Powell, whose live show is a lot more animated than anticipated. He jerked his body back and forth as strobe lights flickered fiercely behind him, and during tracks from his XL album Sport, trippy visuals appeared—a pink, swirling vortex that lured onlookers into Powell’s jagged sounds. It became difficult at times to keep up with his clunky pacing, as every time a 4/4 beat was deployed, it was soon taken away, leaving dancers wondering what to do with their limbs. The Firestation burst at the seams for it, which proved how quickly his popularity has grown since his surprise signing to XL Recordings in 2015. Following a brief interlude and change in setup, Copenhagen DJ Courtesy brought mind-dissolving techno selections to The Firestation. She warmed us up for the late hours with techno that was at once dark and hard as well as playful, deep and dubby. One of the most striking records she played was released by someone else on the same bill: Darwin. 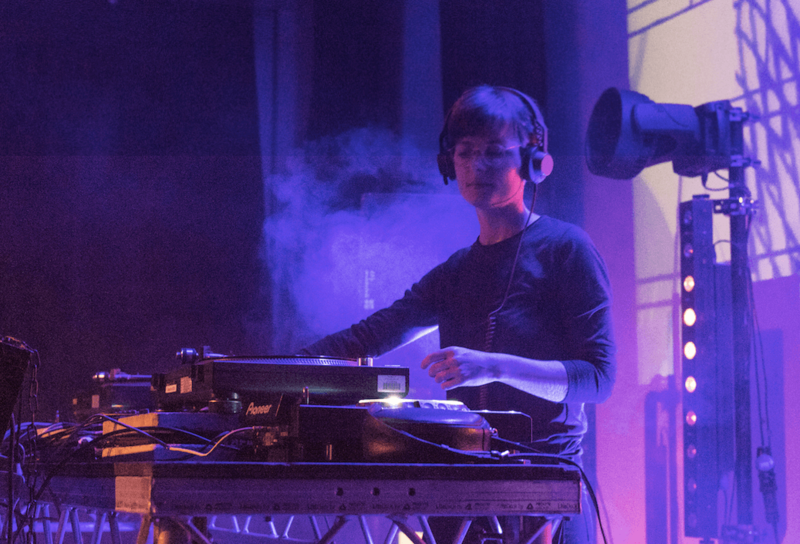 The third record on her SPE:C label, which was helmed from Bristol newcomer Decka, ripped through The Firestation with force as bodies moved meditatively in the space and the sub-bass rattled through the floor. Courtesy displayed a wealth of other Bristolian talent in her set, as she played with the rigid rhythms and low hanging sub-bass on Rhythmic Theory’s “Future Tense” and the ghostly metallic tones of Bruce’s “I’m Alright Mate”. Photo of Courtesy by Cameron Sweeny. After that it was time for a change of scenery, so I headed towards the other side of Bristol to one of the cities biggest clubs: Lakota. It’s a real maze of a place with three rooms, various doors, a looming balcony and passageways. Every time I visit the club it takes at least three attempts to find where the exit is, which makes the experience more mystical, like being inside a techno hall of mirrors. Upstairs, Helena Hauff shelled it out to a claustrophobic, incredibly dark room that was so smoky I could barely see my feet. The cozy space made for a strong vibe, and strangers became acquainted on the dance floor as they bobbed around playfully to Hauff’s razor-sharp selections. 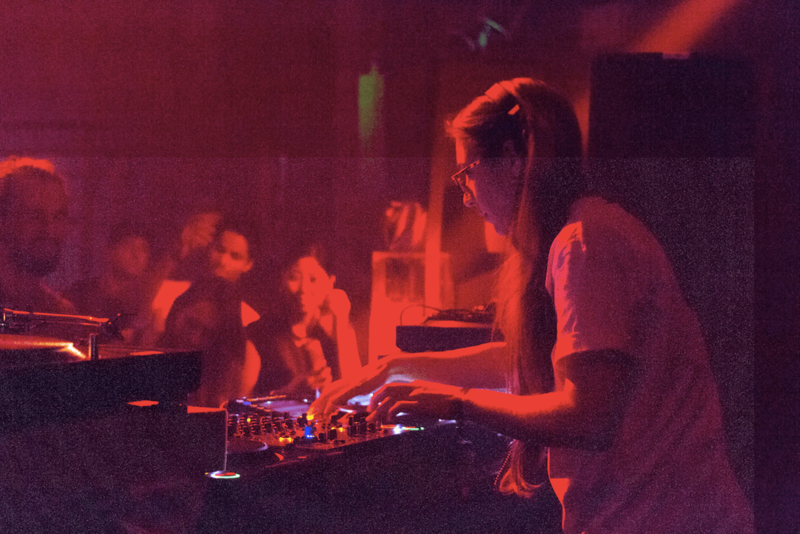 Lena Willikens positioned herself on the decks in the main room around midnight. She cued up tracks with a steady ease and occasionally walked to the other side of the booth to roll another cigarette. She started us off slowly, and each selection took us further up the precipice of her set. Every time she reached a point where the music became more intense and hard, she dropped the tempo back down again, and each wave of energy increased to create more palpable tension. As I expected, very little was recognizable to my ear apart from a track by a new producer named Chekov. At this point, the crowd erupts into joyous dancing, revelling in the skittering sub bass and alien bleeps. At 3:30 a.m., Willikens handed over to Ben UFO, who began a four-hour master class in house, techno and jungle. Starting with a surprising transition from Objekt into a jungle track, Ben soared through tracks from Pearson Sound’s swirly eyed, pixelated “XLB” and the swaying and beaming house of Mood II Swing’s “Ohh”. At sunrise, I left with a smile on my face and an overwhelmingly peaceful demeanor as I navigated my way out of the club. The next day, to cool down from the high energy of Saturday night, I wandered around Bristol to the city’s aquarium and the Arnolfini gallery by the river before wandering to Colston Hall to catch the incredibly prolific horror movie composer John Carpenter. He and his band ran through some of his best-known soundtracks, including a spine-tingling performance of the Halloween theme, while edited montages of his films popped onscreen. It was a delightful atmosphere as everyone furiously clapped and cheered when their favorite scenes appeared and Carpenter pointed at members of the audience in recognition. It was a soothing and theatrical end to a whirlwind weekend. Multi-venue festivals can often feel stressful and tense due to having to cart yourself around a city with limited time, but Simple Things managed to perfect it this year. With friendly, welcoming crowds and an ability to wander through the streets and meander by the river for chill-out time, there’s no doubt that it can only build on its strengths with each coming year.